There is a suspension bridge across Sungai Lembing. 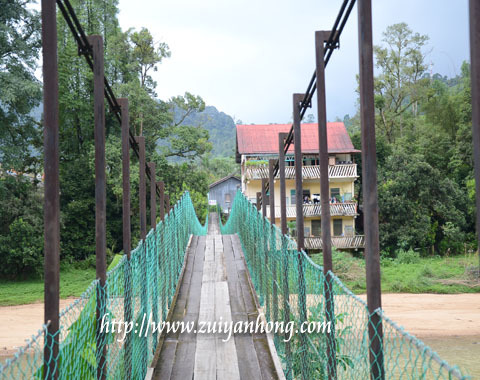 This suspension bridge connects the community of both sides of Sungai Lembing. A woman motorcyclist passed by when I was taking some photos at the suspension bridge. The residents use the suspension bridge to cross the river. That's why they are already got used to it. 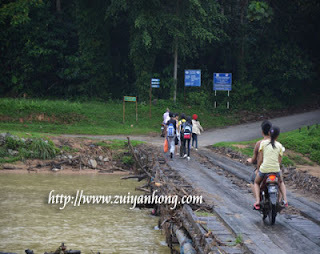 Besides the suspension bridge, there is a wooden bridge at Sungai Lembing. The river will overflow during raining season. 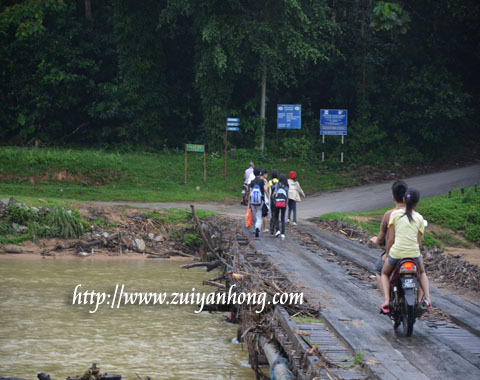 The wooden bridge will submerge by the flood water. Transport between the two locations will be cut off. In case you are staying at the other side of the river, you have to wait for the flood situation return to normal.